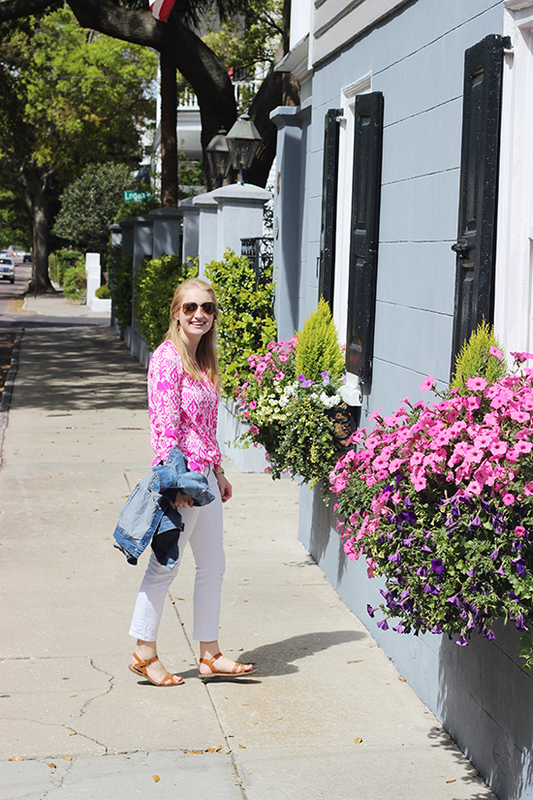 Charleston really is always a good idea. There has never been a time I've visited this charming southern little city and not fallen more in love. The colorful houses, carriage rides around every corner, and let's not forget the shopping make it an unstoppable trifecta. 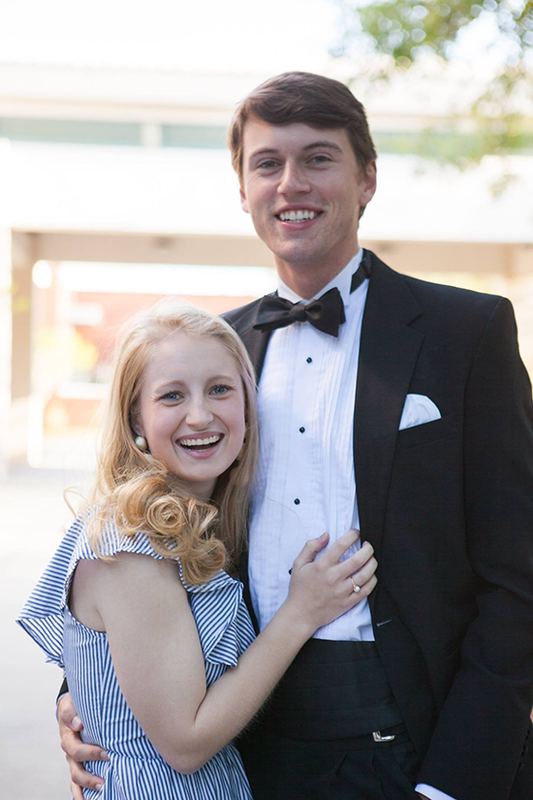 Emory's formal has been there for the past 4 years and I've been so lucky that I've gotten to be his date every year. 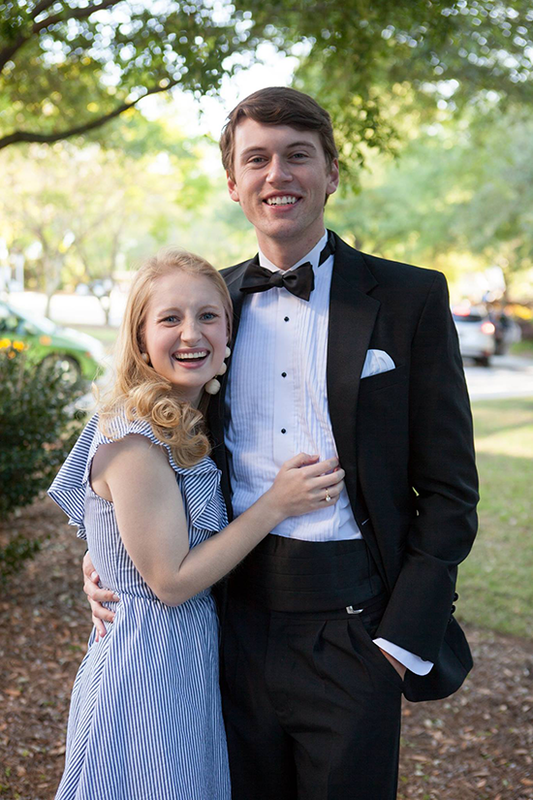 It was bittersweet knowing this would be our last formal in Charleston, but despite the mixed emotions it was impossible not to enjoy every second there. We headed out in the early afternoon on Friday to make it down just in time to check into the hotel, change, and make it downtown for dinner. We did a little research this time and picked a restaurant that kept coming on our recommendation lists! We ate at Hominy which was a perfect southern meal with a great atmosphere (highly suggest) and then met up with my brother who is a freshman at College of Charleston for dessert and a walk down King St! It was so nice to be able to spend some time with my brother in our short trip since the next time I'll see him is GRADUATION (WHAT?!). Emory and I have always joked about how fun it would be to ride a tandem bike. 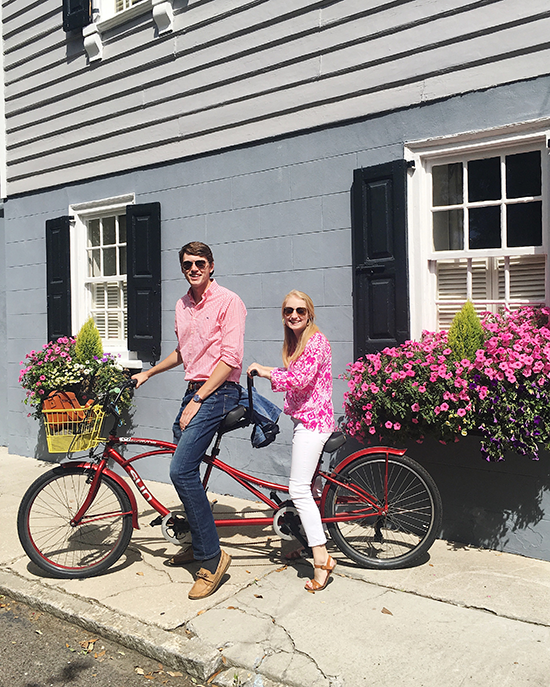 I love bike rides (especially when you're in a picturesque city like Charleston) and thought it would be funny if I could find a way to rent a tandem bike for us to ride around the city! I did a little research and ended up renting us a tandem (which was surprisingly really affordable!) for 2 hours on Saturday morning. It was the perfect way to explore the little houses down the one-way streets and made it convenient since I wanted to stop at just about every house to take a picture of it.#GodBlessEmory. We rode all the way down King St., past rainbow row, and through Battery Park! We were mad that we hadn't thought to do this in years past, because it was so much fun. Everyone kept pointing to us and saying how they wanted to rent one too! Probably the highlight of our trip, lol! After our bike ride adventure, we met up with my brother once again for lunch and then headed out to do some much-anticipated shopping on King St. I could have wandered up and down that little street for hours. 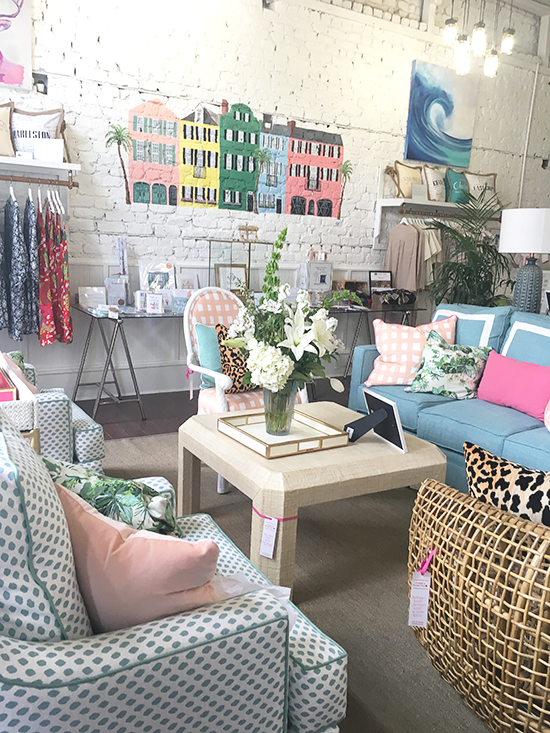 The new Skinny Dip Store in Charleston! 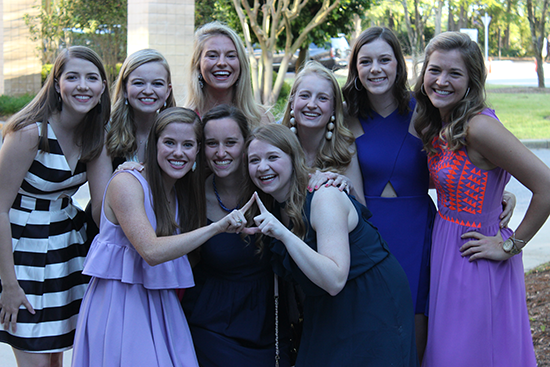 Eventually, we headed back to the hotel to get ready and change for formal. I wore this dress with these shoes! I just ordered the wedges and I was nervous about the comfort level but I've decided that they're probably one of my most comfortable pair of wedges I own! Plus I love how you can tie them in a bow :) And the best part? They're under $100! I suggest sizing down a whole size as I had to order a smaller size. We, unfortunately, had to get up and leave early Sunday as I had to be back for our tridelta senior ceremony that afternoon (which was very bittersweet too!). With the semester winding down very fast I'm trying to enjoy every last second I have enjoying friends before we all head off to different states (and even continents!). Big changes are happening and I can only pray I'm ready to take on a new challenge! What a fun weekend! 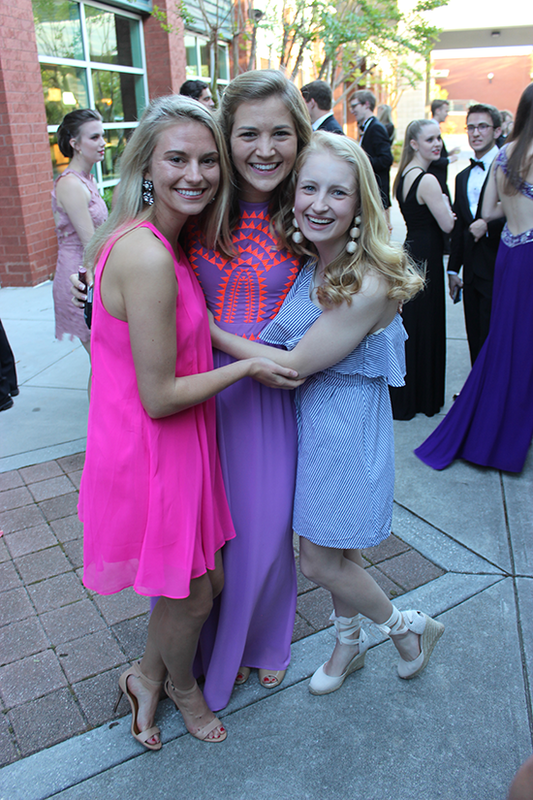 I love the dress you wore for the formal and I'm so jealous you got to visit the new Skinny Dip store- I've seen so many Instagrams of it lately!